It can be unsettling to watch your goldfish tank’s water become cloudy, especially considering the time and money you’ve invested in it. 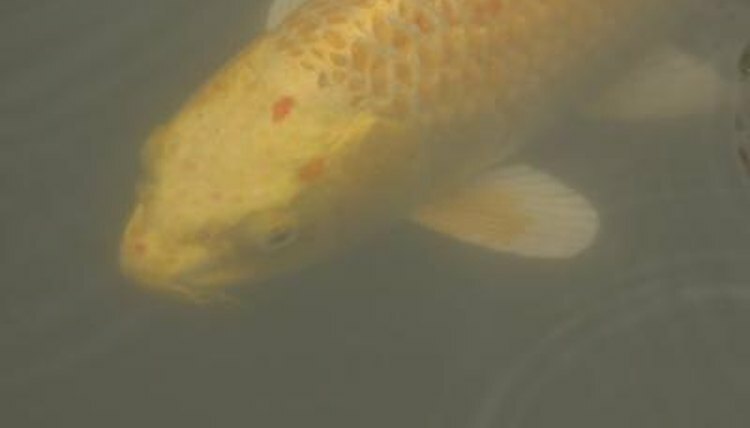 Tank water cloudiness is more than just a cosmetic concern; it can be a symptom of poor tank hygiene and might negatively affect the health of your fish. Fortunately, a little extra cleaning can help keep your tank water clear. A number of things can cause cloudy water in a goldfish tank. Some of those causes are innocent, but others require urgent attention to protect the health of your fish. A greenish cloud typically means an overgrowth of algae, while general fogginess points to a bacteria bloom. Dirty water may also appear cloudy and take on a slight yellow or gray hue. If your cloudiness is caused by bacteria, you'll need to treat the entire tank with antibiotics recommended by your veterinarian. If you suspect algae overgrowth or a buildup of waste is contributing to the cloudiness, you must properly clean your tank to restore it to health. Begin by scraping away excess algae from the tank sides with an algae scraper, and then vacuum up any waste or food scraps accumulating on the floor of the tank. Finally, siphon out 20 percent of the tank water and replace it with fresh water that has been treated to remove chemicals and chlorine. If cloudiness persists, perform additional water changes every day or two until the tank is clear. Also, make sure your filter is of the right size and working properly. Keeping your goldfish tank clear requires a bit of work every day. Goldfish are known as messy eaters, and they produce a considerable amount of waste. Make sure your filter is big enough for your tank size, and change the cartridge as soon as it becomes dirty. Make partial water changes at least once a week, depending on the size of your tank and the number of fish, and stop overfeeding your goldfish. You should only offer as much food as your fish can consume in 10 minutes. Anything extra makes its way to the bottom of your tank and contributes to cloudiness and odor. Use water conditioners, as needed, and invest in an algae eater to keep your tank walls clear. If your tank becomes cloudy despite routine maintenance, you may have too many fish crowded into your aquarium. While the general rule is one fish per gallon of water, goldfish often need more space than this, according to RSPCA Australia. Also, try moving your tank to a different location. Too much sunlight through a window can warm the tank's water and contribute to bacteria and algae growth. If your fish seem unwell or if you notice any problems in your tank in addition to cloudy water, consult your veterinarian for advice. RSPCA Australia: How Should I Keep and Care for Goldfish?